A few foods we start loving just because our parents are always raving about those. I have witnessed this tendency of kids even in recent times when I see them following their parents in the choice of foods, especially the junk type. There is no other way small toddlers would start loving junk carbonated drinks and instant noodles. We had no such influence in my times, the only choices we had were home cooked food as our parents always preferred home cooked food unless we were traveling. I would add that my parents were very fond of good food and since they kept traveling a lot and we all lived in many cities all across the country, the food repertoire at home was quite rich. One of the dishes I remember we all loved just because my father was too fond of it, is this sama ke chawal ka bhakka. I had never seen it being made in other homes till then, not even now, and the name sama ke chawal ka bhakka was so uncool that we never talked about this dish outside of our home. The taste was nothing special as it tasted just like any other daliya or porridge we ate for breakfast, nothing to feel elated about. Same ke chawal ka bhakka was not even garnished before serving like we do for sama ke chawal ki kheer, though I felt like garnishing this time when I made it just for the sake of pictures. Soak the sama ke chawal in the milk overnight, preferably in the same pot you will use for cooking the porridge in the morning. Place the pot on gas stove and bring to a soft boil while stirring in between. Lower the gas and let it cook for 10 minutes. Add sugar, mix and cover for 15 minutes till it absorbs all moisture. Serve hot, warm or cold. Make ahead if you want to serve it chilled. 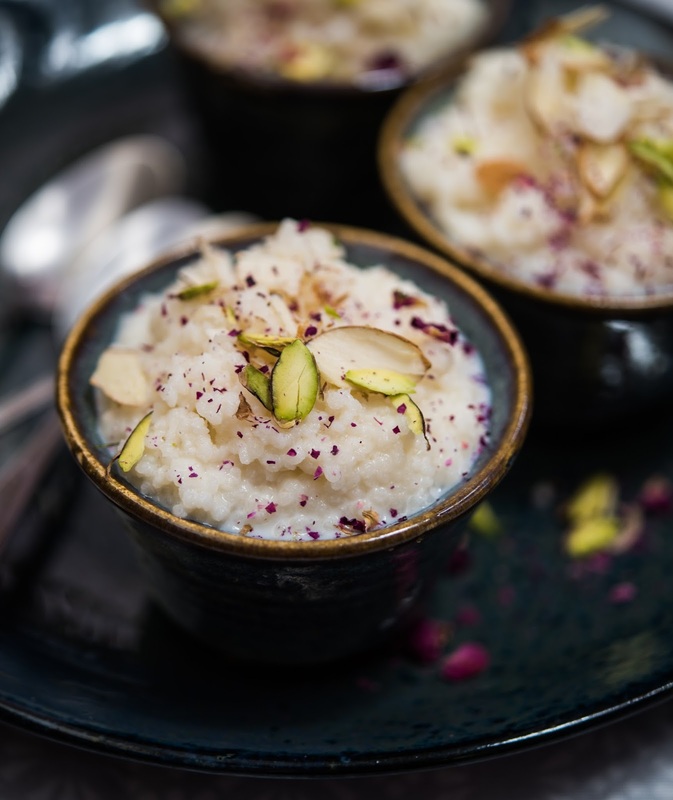 It tastes like a porridge that has a hint of kheer. 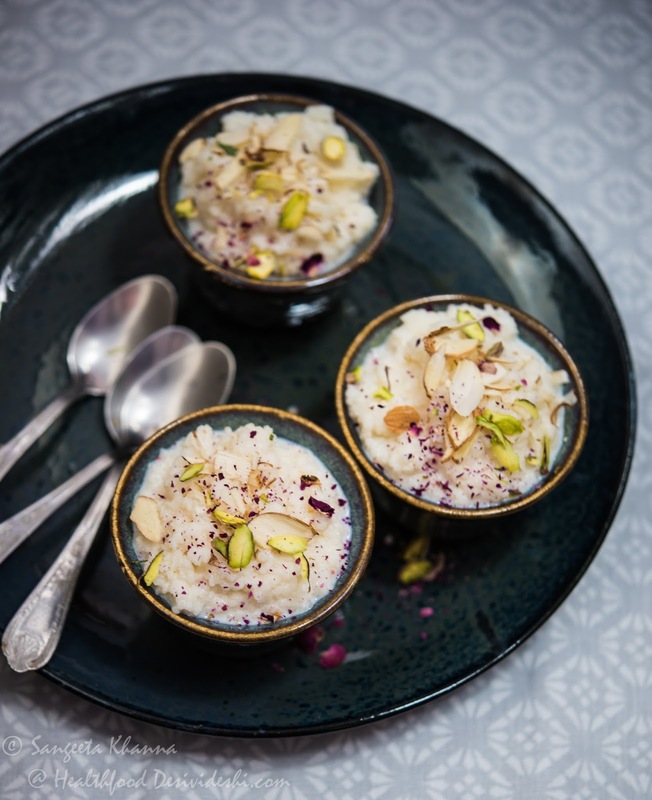 The sama ke chawal ki kheer is a richer version of sama ka bhakka, which was served either as a breakfast dish or a snack any time of the day. Such a healthy snack for anyone who has a sweet tooth.